Maya is a popular 3D modeling/animation/rendering suite from Autodesk (formerly from Alias). It is a powerful tool for modeling, texturing and animating props and characters. 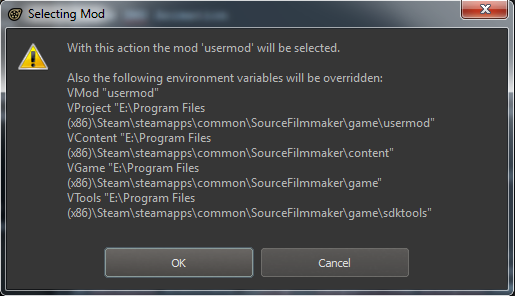 It also contains many advanced features which are not applicable to Source modding (dynamics, rendering, etc.). While Valve favors XSI for modeling and animating, some users may prefer Maya's rich feature set. 0. Locate the plug-in files in the Source SDK directory, under 'maya' or 'sdktools\maya'. 1. If there is a directory there matching your Maya version, it is supported. Valve's plugins do not work on 64 bit versions of Maya. 3. If this does not work, see if you need to edit runmaya.bat to match your system. 4. When Maya is loaded, go to Window>Settings/Preferences>Plug-in Manager and check the "loaded" and "auto load" boxes next to vsmaster.mll . This edits Windows Environment Variables which should then have the same values as where your SFM is located, respectfully. Note:MESA works with 2010,2011,2012,2013,2014,2015,2016,2017,2018 x86 and x64 version of Maya. Autodesk Education Community Official education resources for students. Introduction to the Maya 8 User Interface Noesis Interactive video tutorial. Introduction to Custom Props for Source Powered Games with Maya Noesis Interactive video tutorial.